Responsible Gambling is a Key to Success! 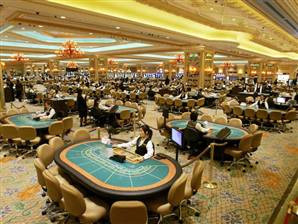 It is necessary to get acquainted with the main gambling standards before start to gamble and take any possible risks. Pay heed to additional information noted in this article and apply some general principles every time you gamble. Do not gamble in bad mood. Whenever you are disappointed or feel blue, do not approach gambling establishment because bad mood frightens off Lady Luck. Do not interpret gambling as easy money earning. All people tend to hope for the best by nature. Do not be surprised to lose instead of win. Remember that overall casino system implies that the vast majority of players lose while insignificant minority racks up a lot of profits. Thus, do not supply false expectations but be realistic. Gambling is not your reality. Follow the rules of our land casinos guide and do not mess gambling and real life. It is common knowledge that hazard games are involving more and more. It concerns your real life, your earnings, your efforts and your free time. You are the master of your life but please remember that spending too much time on playing games is bad even if it is gambling games! Warning: NO credit card! Control the money you give away on gambling. Always be aware of how much you are ready to spend for a certain gaming session and do not overstep the established bounds. It is very important to restrain hazard impulses and quit when needed. Do not be addicted! Set time for gambling. Just as it is necessary to plan the amount of money available for gambling, allocate your time resources. Set deadlines and stop gaming when time comes! Do not try to play your money back and overcome the limits. Do not hope to make a fool of land casinos standards otherwise they will make fool of you! Leave land-based casino before your wallet will become empty. Do not drink while gambling. Many land-based betting houses offer alcoholic drinks under the slogan of "additional casino benefits for VIP guest only this evening". Real money gambling requires accuracy and clear mind. So, ignore the alcohol with regard to what is more important here and now. We hope that the above given pieces of advice will help you to gamble safely and responsibly. Enjoy gambling games to the full extent!